Law enforcement officers in San Diego County were sending thoughts and prayers Monday to the friends and families of two Palm Springs Police officers who were gunned down when they responded to a domestic disturbance call. 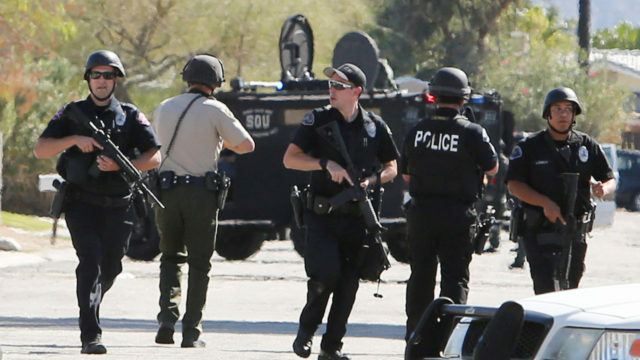 Palm Springs police Sgt. Jose Gilbert Vega, 63, and Officer Lesley Zerebny, 27, were killed and a third officer was wounded Saturday. 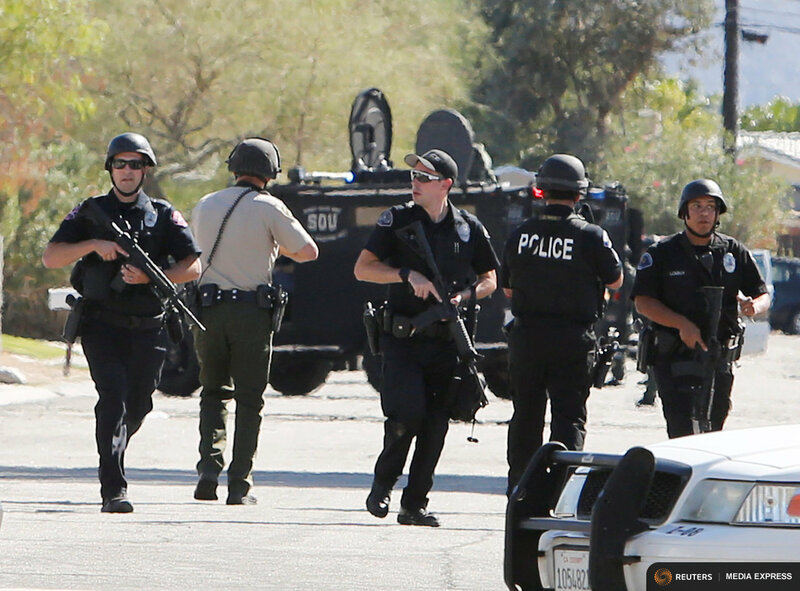 The alleged shooter, John Hernandez Felix, 26, was arrested after a 12-hour standoff. Vega had been with the department for 35 years and had planned to retire in December. Zerebny, a rookie officer who had been with the department for a year and a half, had just returned to duty after giving birth to a daughter four months ago. Her husband is a Riverside County sheriff’s deputy. “Our thoughts and prayers are with the Palm Springs Police Department and the families of Officer Jose Gil Vega and Officer Lesley Zerebny,” Oceanside Police officials said via Twitter. Similar messages also came from the San Diego and National City police departments. “Our deepest sympathies and heartfelt condolences to our @PalmSpringsPD Heroes in Blue and your families in this time of need,” National City police tweeted. Hundreds of people attended a candlelight vigil at the Palm Springs Police Department Sunday night. The series of events that led up to the shooing began around 1 p.m. Saturday as Palm Springs police responded to a call from a woman reporting that her adult son, an ex-con and alleged gang member, was causing a disturbance. Vega, Zerebny and a third officer were shot through a closed door as they tried to get the suspect to come outside.